Atmospheric physicist and Duluth-native James E. McDonald was by all accounts brilliant, idealistic, and outspoken. When he began researching and speaking publicly on UFOs, he became controversial as well. James Edward McDonald was born in Duluth on May 7, 1920. His parents were James P. McDonald and Hilve C. (Linn) McDonald. James P. was born in Wisconsin and moved to Iowa as a young man where he met Hilve Linn and married her. They moved to Duluth about 1916. James found work as president of Duluth Creamery and Produce, at 7th Avenue West and Railroad Street. They had two children, both born in Duluth—a daughter, Lois, born on December 18, 1917, and James. They resided at 1422 East Third Street. The McDonalds left Duluth in the mid-1920s and moved to Omaha, Nebraska, where James P. found work at the Graham Ice Cream Co. The children attended public schools in Omaha; James graduated from Central High School in 1938. He enrolled at the University of Nebraska at Omaha and graduated with a B.A. in Chemistry in 1942. He then joined the Navy, where he served as a cryptologist in naval intelligence and later as an aerologist and meteorology instructor, achieving the rank of Lieutenant Junior Grade. Following his Navy service, James received a master’s degree in meteorology from MIT in 1945 and moved on to Iowa State University in Ames, where he earned his Ph.D. in Physics in 1951. It was at MIT that he met Betsy Hunt, a WAVE and graduate of the University of California. They would marry and raise six children. 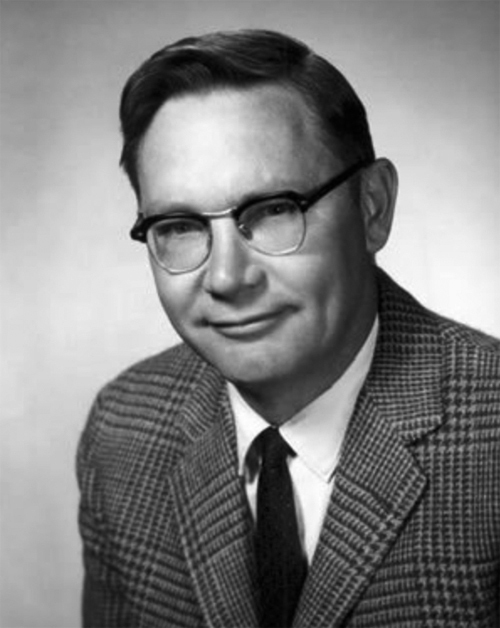 McDonald taught at Iowa State University and was a research physicist at the University of Chicago. Most of his academic career was spent at the University of Arizona in Tucson, where he started in 1954 as an associate professor of physics. Some of his early research dealt with the shape of raindrops; he showed that raindrops were shaped more like hamburger buns than pearl drops, as people had thought. In 1960, when the Air Force revealed plans to surround major American cities, including Tucson, with silos for Titans and other intercontinental ballistic missiles, he worked to oppose the plan, even testifying before a U.S. Congressional hearing. McDonald felt the silos should not be placed upwind from cities since, if they were ever hit by an enemy attack, the radioactive debris would be blown over the cities. Air Force officials ignored him but later saw that he was right and changed their policy. McDonald was also an early defender of the ozone layer. Specifically, he was concerned about the implementation of fleets of Supersonic Transport Planes (SSTs), which was being discussed in the late 1960s. Through his research, he determined that numbers of SSTs could damage the ozone layer, resulting in an increase of ultraviolet radiation and a corresponding increase in skin cancer. He testified on his research in March 1971 at a hearing of the subcommittee of the U.S. House Appropriations Committee on the SST. McDonald had been interested in UFO research for a while, but he began seriously researching and speaking publicly about it in 1966. He attacked the subject with the same logical approach he used in all his scientific research. He quickly arrived at the opinion that the Air Force—the government body charged with investigating UFO sightings through their Project Blue Book—was not doing an adequate job and was, in fact, dismissing many credible reports. McDonald was outspoken in his criticism of the Air Force investigations of UFOs, calling them outrageous, and was also an early critic of the Condon Report, which was released early in 1969. Edward Condon was a professor at the University of Colorado. He was hired by the Air Force to study the UFO controversy and make recommendations on future expenditures on UFO research. The Final Report of the University of Colorado Research Project recommended no further extensive study of UFOs. It was about this time that McDonald’s life seemed to change. Some friends noticed differences in his personality. He was being publicly ridiculed, often by scientific colleagues, for his stance on UFOs. In May 1969 he returned to Tucson from California, where he had been investigating UFO sightings around the China Lake Naval Air Weapons Station. During his flight home his briefcase, full of sensitive interviews and documents about the sightings, was stolen from the plane. Later, back in Tucson, he began to notice he was occasionally followed by unmarked cars without license plates. He thought nothing of this at first—Betsy was a social activist, supporting many left-wing causes, and in fact had invited two Black Panthers to stay at their house when speaking in Tucson—so the McDonalds were somewhat used to being the subject of surveillance. He also had a carousel of UFO slides stolen from the projector after one of his speaking engagements. In March 1971, Betsy asked for a divorce. According to Ann Druffel in Firestorm: Dr. James E. McDonald’s Fight for UFO Science, Betsy was feeling neglected because of his many trips and long hours of work. On April 9, 1971, McDonald made a failed suicide attempt which damaged his optic nerve, rendering him blind. He was told by doctors that some sight might return, and he began working again. But on June 12, he took a cab from the university, stopped at a pawn shop and purchased a pistol, and was dropped off in the desert outside of Tucson. His body was found the next day and his death was ruled a suicide. McDonald’s extensive files of information on UFOs were kept by Betsy McDonald in their home for twenty-five years. Finally, in 1996, the entire collection was accepted by the University of Arizona Library in Tucson for their Personal Collections Section. They are available for use by serious researchers. The files contain interviews, documents, copies of Project Blue Book reports, and McDonald’s personal, handwritten journals from 1958 to 1971.